We know you enjoy feeding your backyard birds, but sometimes those pesky squirrels and other critters can put a damper on things. That's why we offer a variety of hot pepper bird foods, including Fiery Feast™ available exclusively at Wild Birds Unlimited. It's a mix of hot pepper and shell-less seeds so it's also a no-mess way to feed the birds. Pound for pound, our no-mess blends are the best value because you don't pay for uneaten seed waste. And with hot pepper included, you'll see critters shy away while feeding the birds you love to attract! 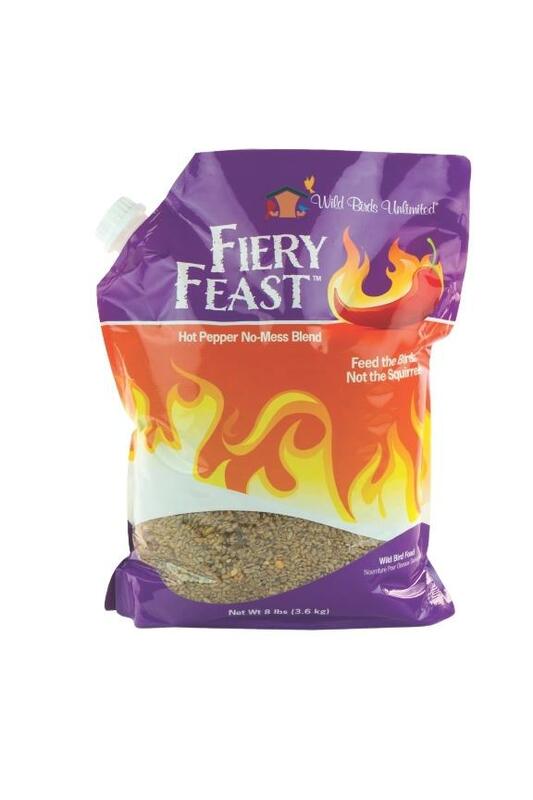 Shop our store to learn how Fiery Feast can help keep the critters away from your bird feeders. And how you can attract more beautiful birds to your backyard.